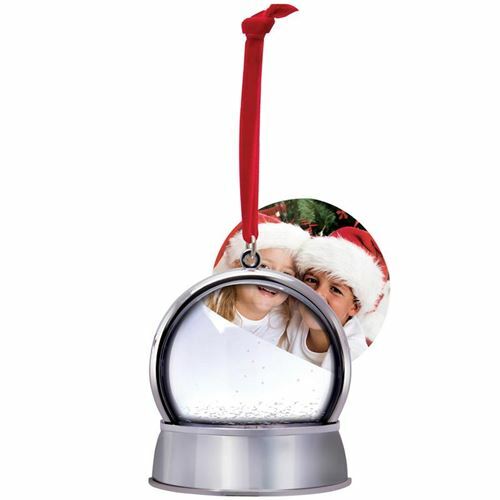 • Each snow globe contains snow and glitter flakes. • Globes are not glass, made of durable plastic so they won't break. 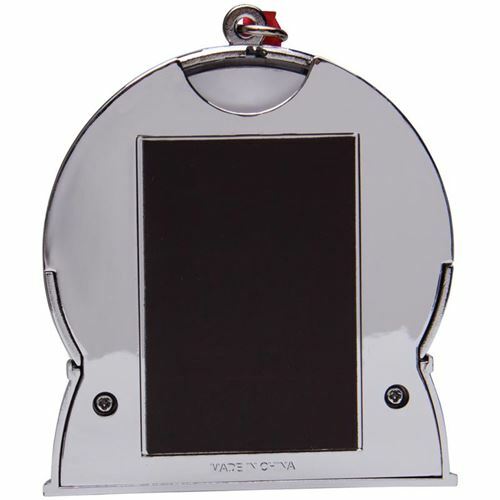 • Slip your 2-3/4" x 2-1/4" curved photo into the top. 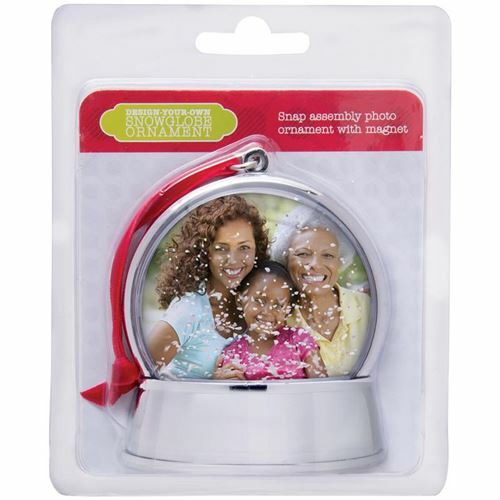 • Ornaments have a flat back with a large magnet and red velvet string. • Individually packaged in a clam shell box for re-sale. 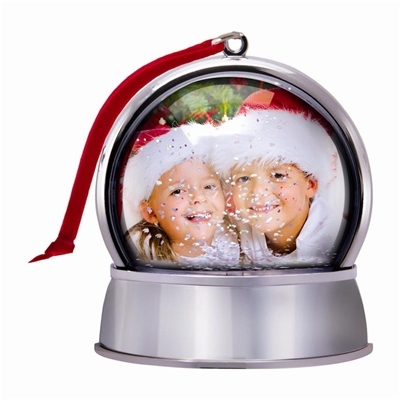 Christmas photo snow globe for your tree or refrigerator, made of durable plastic so they won't break, contains snow and glitter flakes, a flat back with a large magnet and red velvet string, 2-3/4" x 2-1/4" curved photo into the top.